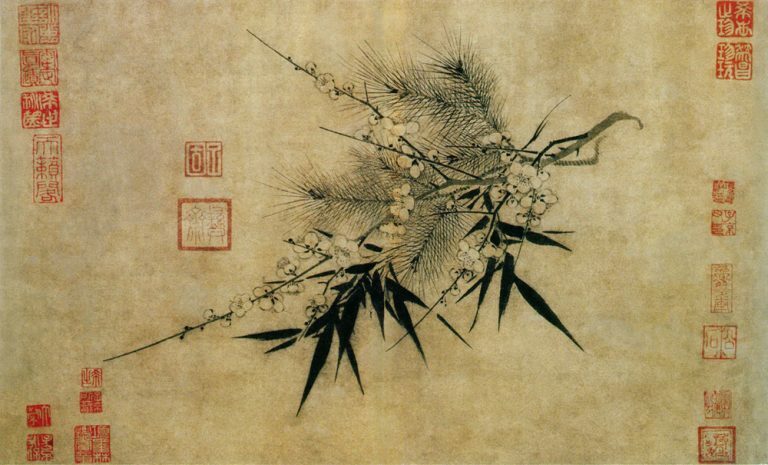 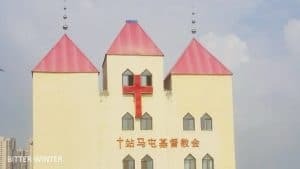 Henan is a province with a large Christian population in China. 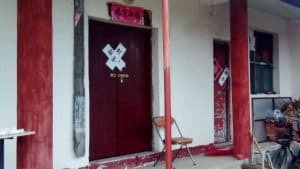 In 2018, it suffered the most severe religious persecution by the Chinese Communist Party: churches seized, crosses removed, minors banned from going to church — these events have been a common occurrence. 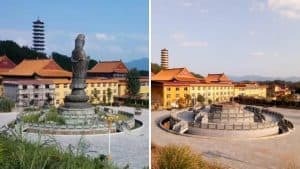 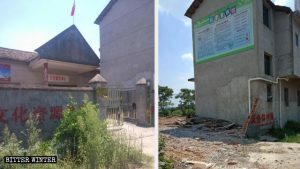 Recently, informed sources told Bitter Winter that on April 20, 2018, local authorities destroyed the cross of Bo’ai Church, a Christian church located in Wangyoufang, Huangkou township, Yongcheng city, Henan province. 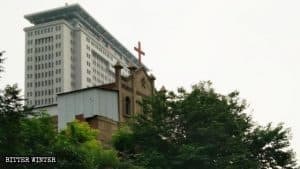 At around 10 a.m., officials from Huangkou township government and Yongcheng city government came to Bo’ai Church to oversee the removal of the cross. 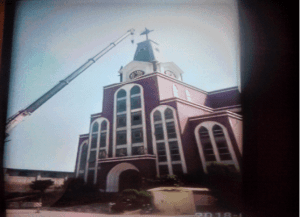 Without the permission of the church director, the government workers instructed a 10-ton crane driver to remove the horizontal beam of the cross, leaving only the vertical beam to serve as a lightning rod. 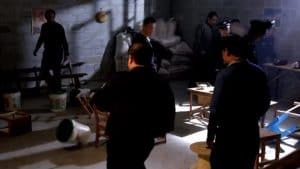 Later, they went into the building and smashed the church cross sign. 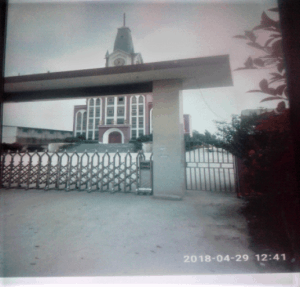 Bo’ai Church, built in June 2014, boasts an area of approximately 4,000 square meters and was regarded as Asia’s largest village church by the local government. 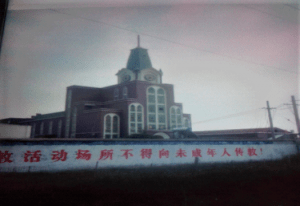 After the destruction of the cross, Bo’ai Church stopped hosting religious meetings. 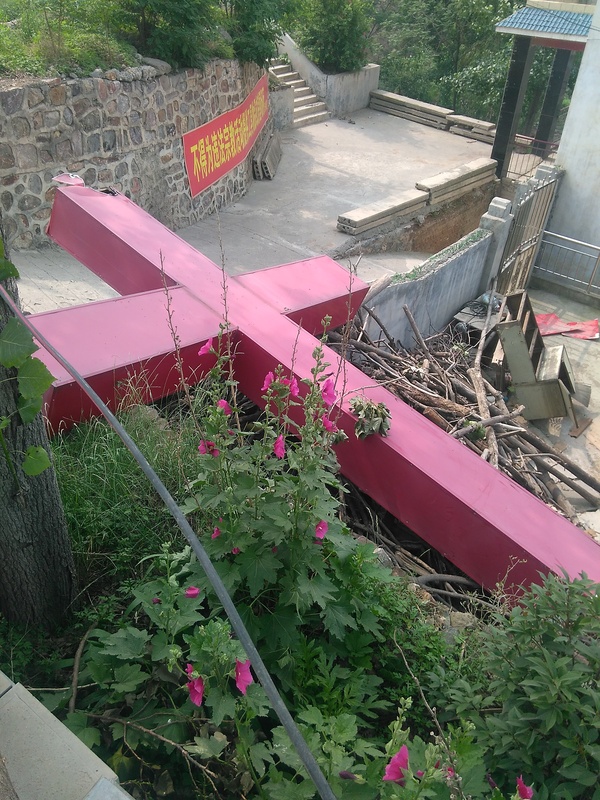 The local authorities in Henan forcibly destroyed the cross of Bo’ai Church. 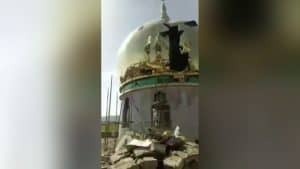 After the destruction of the cross of Bo’ai Church, only the vertical beam remains.